As I was sitting at my desk today I sensed the Lord’s Presence in a very beautiful way. Have you ever felt His Presence? It’s euphoric! In that moment I looked in front of me and my attention was drawn to the print of a painting by Amy Sheetreet that sits on my desk. 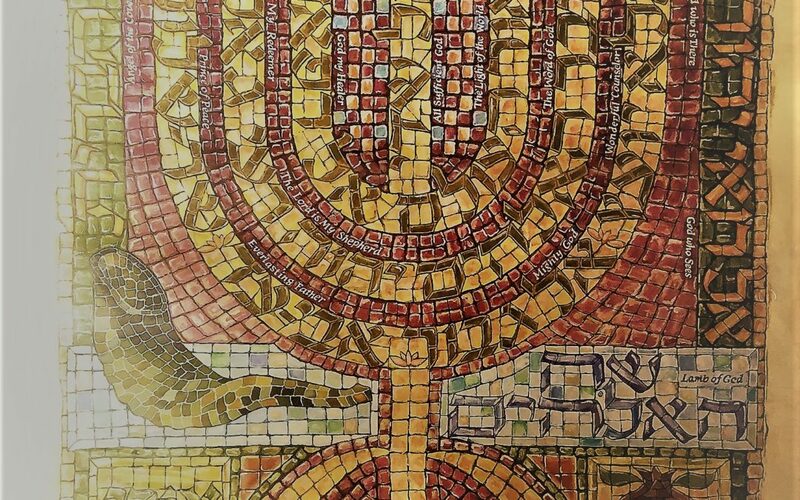 It’s a beautiful mosaic of a Menorah with God’s names in Hebrew and English. We find such strength in meditating on the Names of God. (Proverbs 18:10) Spend some time today delighting in who God is, as revealed by His Names.